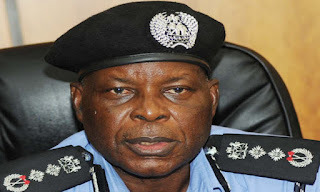 The Progressive Network for Atiku Must Win congress, a Presidential campaign group for Atiku Abubakar, has appointed retired Inspector -General of Police, Mike Mbama Okiro as its Chairman, Board of Trustees (BoT). This was made known by the National Coordinator of the group, Christian Nwauzor and National Director, Contact and Mobilization, Golden Michael. The pro-Atiku group stated that the former IGP will give support for the successful implementation of the organization agenda.